Does mountain biking always cause more impact? Mountain biking is generally considered a recreational activity that causes more impact to the environment than non-mechanized activities like hiking. Mountain biking has become a very popular outdoor recreation activity in the United States and it’s popularity is increasing across the globe as well. On a flight from Philadelphia to Salt Lake City a couple of summers ago, I sat next to an woman from Australia who was training to be on Australia’s Olympic Mountain Biking Team; she was coming to Utah to train in Park City. Australia is one of the countries that has seen a major increase in the popularity of mountain biking and thus an increase in the construction of mountain bike trails in parks and protected areas. Recreation ecologists in Australia have just recently begun to examine the ecological impacts of mountain biking in their country and it’s unique ecosystems. Catherine Pickering et al. (2011) recently examined the impacts of mountain biking as compared to hiking on subalpine grasslands in Australia. In the United States, subalpine systems are often very sensitive to recreation impacts. Pickering and her team approached the study using traditional recreation ecology methodology and essentially set up a “trampling study” style experimental design to examine recreation loads and the resulting impacts. Additionally, they looked at the impact of mountain biking occurring off of designated trails, a subject which has not been examined very much in the recreation ecology literature. 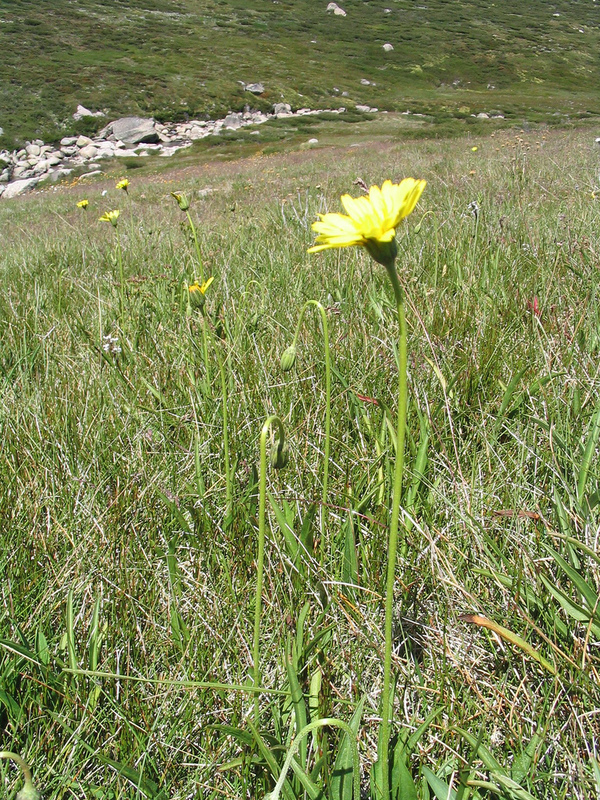 The study was conducted in Kosciuszko National Park in south eastern Australia. In this park, mountain bikers are expected to stay on the designated trail during summer months. However, as with any recreational activity, there is rarely 100% compliance with such recommendations. Pickering and her colleagues set up off-trail “trampling” lanes with a set number of passes by the mountain bike or hiker as the treatments. Mountain bike passes ranged from 25 passes to 500 passes and hiking passes were 200 or 500 passes. Additional treatment lanes were set up at a slope to see if the nature of the topography had any effect on the recreation impact of the activity. Results showed, not surprisingly, that mountain biking has negative impacts on vegetation and soil. Mountain biking significantly decreased vegetation height, even at very low levels (25 passes) of recreation use. Additionally mountain biking caused vegetation to be crushed, soil to be compacted, and led to changes in species composition and the loss of some subalpine species in the community. Slope did have an effect on the level of impact; riding up or down slope caused more impact than riding on a gentle slope. However, these results seems pretty obvious as all recreational activity causes some level of impact and even just hiking off-trail leads to similar types of impacts (like crushed vegetation and compacted soil). Pickering et al. found that the severity of mountain biking impacts and hiking impacts were the same except at the highest level (500 passes) of impact. It appears that in off-trail areas of a subalpine grassland, low and moderate levels of hiking and biking use cause the same amount of impact. However, it is important to note, and the authors do make this point, that the off-trail mountain biking use was conducted under “ideal conditions”. Meaning that the bikers did not brake hard while riding, did not cut sharply with their tires, and the study was conducted under very dry soil conditions. 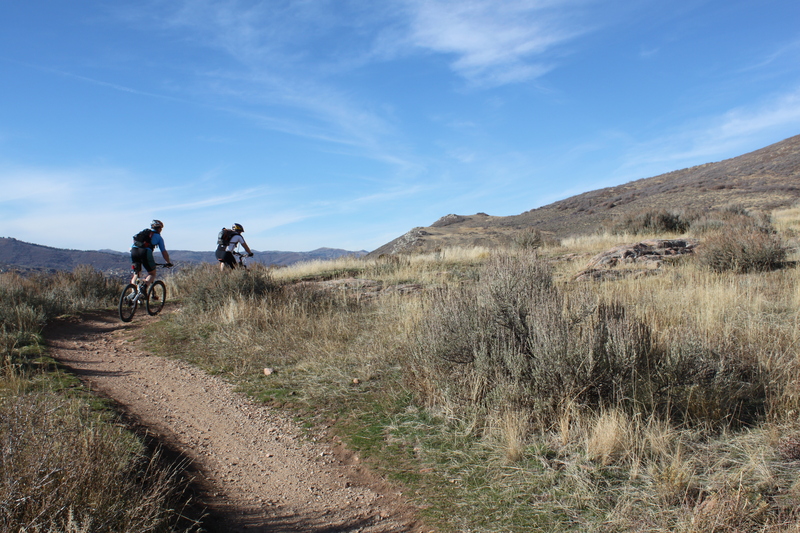 Therefore, the findings that mountain biking and hiking cause similar levels of impact in subalpine grasslands may not hold true under normal riding conditions or when soil conditions are wet. Finally, Pickering and her colleagues point out that besides damage to soil and vegetation, mountain biking impacts can also include visual impacts and ecological damage caused by the building of features such as jumps and ramps. Mountain biking is an issue of increasing concern for managers of parks and protected areas. Not very much research has been conducted examining the impacts of off-trail mountain bike use and the sensitivity of different ecosystems to mountain biking. Like hiking, mountain biking will always cause some level of impact. However, trail design and an understanding of how different ecosystems respond to mountain biking pressures can minimize the impacts caused by mechanized recreation. This entry was posted in National Parks, Other People's Research, Recreation Ecology and tagged Australia National Park, Kosciuszko National Park, mountain biking impacts. Bookmark the permalink. Mountain bikes are akin to motorized dirt bikes. Plain and simple fact. They do more damage to the trails, and off trail, due to the fact so many public landowners have been brainwashed by the “they are only bikes” and bikes are a “green” mode of transportation. With their duals suspensions, and disc brakes, fat knobby tires, full face helmets and body armor, and their riding habits, they are not different than the motorized yahoos on the trails. There is a lot of mountain bike backed studies out there. The real science proves that mountain biking is destructive on and off trail. They can go further, and higher on a bike than the average hiker. As you can see for yourself, in the video, does mountain biking seem like a passive, non-destructive sport to you. There have been wildlife collisions and mortality due to mountain biking. You can’t respect nature from the back of a speeding mountain bike and full face blindering helmet. You might as well say that ATV’s and mudbogging does not have an effect on the environment. Mountain bikers build more trails and structures, causing tree mortality, for starters. Still want to tell us that “trail management” will be the answer. Sanctioned trails have never stopped mountain bikers from building secret and illegal trails, either. They have fooled a lot of people. Just say no, and place mountain biking inside an old quarry or mining pit. They don’t need nature for their thrillsport, in order to have fun. They just need a lot of amusement park structures, dirt mounds and the like. All those things damage the forest floor, take away critical topsoil, and mineral earth, and of course damage a lot of tree root structures and just do a hell of a lot of damage. There is no merit in this kind of bike sport. You can’t manage mountain biking. It just ends up managing you. You can’t minimize the impacts of mountain biking. I have been studying this sport for ten years, and can vouch for the fact it is full of scofflaws, and nature-deficit individuals who are passing their destructive nature onto the younger generation inside mountain bike camps. The Great Gazoo really doesn’t like mountain bikers does he? What he’s saying is (unfortunately) largely true but I believe it only applies to trails close to urban areas where the local downhill crew are using the same area constantly and have access to tools. However, mountainbiking isn’t all about screaming down hill at speed wearing body armour. I’ve been a cross-country mountain biker and a hiker for decades, I ride responsibly, don’t skid, don’t cut new trail, and avoid riding after heavy rain to avoid trail damage. I’m certainly not alone in having this attitude. Back country mountain biking is as valid as hiking as a passtime and, I would suggest, no more destructive to the environment in these circumstances. Bizarrely, I am still denied access to thousands of kms of firetrail through wilderness areas due to the perceived erosion issue despite the fact that 4WD’s are used in all weathers on the same tracks for ‘maintenance visits’! Access to singletrack trails is even more restricted. I live in Australia – given the space available, access to land is pathetic. For an enlightened approach to trail management which appears to work for all, take a look at the New Zealand system. There is NO doubt that mountain bikes and motorized bikes (far worse), cause severe damage to vegetation. You’d have to be pretty brainless not to understand this. It causes soil erosion, crushed vegetation, exposure of tree roots, and damage to soil structure. Mountain biking should be completely restricted to certain trails ONLY, and no off-trail riding should EVER be allowed (except on wasteland areas that are not in National Parks). Motorized bikes or other vehicles (except national park services vehicles) should NEVER be allowed to be used in National Parks, full stop. I used to live in a national park called “Dartmoor” in Devon, UK, near a beautiful area called “Hound Tor,” and the erosion and damage caused by mountain bikes and motorized bikes in one of the small woodlands bordering a stream, was unbelievable. They would go in there and ride over tree roots, exposing them ever more, destroy the bluebells and other wildflowers growing in the woodland, and they would ride over the stream which in various places had caused the sides of it to crumble and fall into the water. I could hardly believe that the National Park Authority would ever allow this kind of damage to the such a special, beautiful, fragile area. They would also have competitions in there and leave little plastic flags and ribbons tied to trees lying around. This obsession with motorized off-road vehicles and ‘extreme’ sports has become a fad in recent years. Sadly, this is what happens when too many emotionally immature people get a bit of extra money and time on their hands and go out and buy useless, destructive toys instead of using their legs to get around. In the US, it’s commonly the fat people who ride about on noisy ATV’s (All Terrain Vehicles) and snowmobiles, pretending that they are exercising and ‘enjoying’ nature. The West has become obsessed with all things forceful and noisy. It seems few humans can simply go for a walk in the beautiful, unspoiled countryside, sit under a tree and just contemplate on the magnificent beauty around them (what ever happened to the writers and poets among us who were inspired by the beauty and tranquility of nature). Only these people know what it is to be grateful for nature, it’s animals and plants, and only when one is grateful will he/she become aware of how fragile and precious it is, and of how much we must respect and protect it before it is too late. I am Navajo Native American, and even in my land this mental, Western sickness of force, noise, extreme sports etc has raised its ugly head in some places. One day it seems we will be forced to change our ways, nature will make sure of that. Where are you now, and do you come back to Dineh Bikeyah ? I Agree!! I like how you think! I respect the mountain bike riders that take care of the trails. Unfortunately, I have found that for every one good rider, there are hundreds that are dangerous. There are a few lying on the ground because they came screaming by too close to me and my dogs withoiut any warning. I say add a $5,000 tax to mountain bikes to pay for the damage they can do to hikers and walkers along with the trails. As a hiker, hunter, fisherman and cross country mountainbiker I feel a bit dissapointed with the anti-mountainbike comments. I am 40+ and ride responsibly, honor the “don’t widen the trail” rule (which usually hikers don’t, i.e. people avoid mud pits and the trails gets bigger and bigger) and really take caution around other humans and animals. Don’t let a few idiots, as with “hikers” who leave trash and make fires where not appropriate, make you feel that we’re a bunch of speed machines who destroy the forests and mountains. The trail erosion is really bad from people hiking but I have not heard anyone wanting to ban people from walking on the trails. I think all of us who like to enjoy the nature on foot, skis, bikes and other non-motorized means can get along.